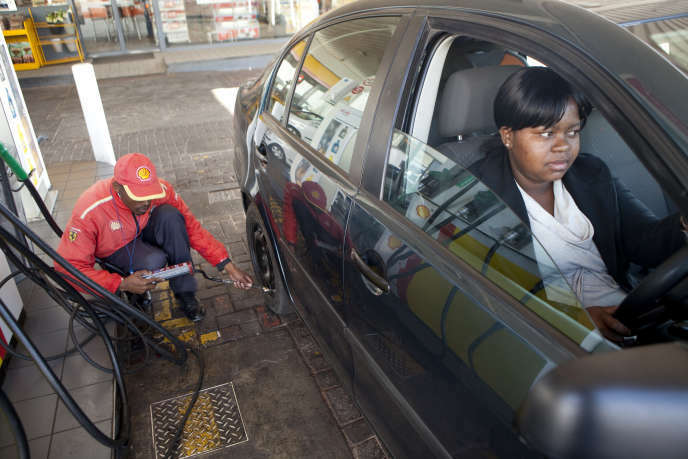 Twenty rands an hour, or 1.25 euros, or 219 euros a month for a forty-hour week: this is the new minimum wage that came into force on 1st January in South Africa. But on one of the streets of Melville, a trendy area of ​​Johannesburg run for bars and restaurants, Mpumelelo (the first name has been changed), which unloads a delivery truck, is not aware. "I'm paid 17 rand an hour. Our bosses usually raise our salaries in January, but for now they have not told us anything, " he explains, a carton of crisps and juice bricks in his arms. This 36-year-old South African works forty-five hours a week, "Sometimes more when you are stuck in traffic jams", and has trouble making ends meet. "We're always having money from someone, sometimes crooked people, it's tiring. So, yes, if we increase, it will make a difference, but I'm waiting to see, " he explains, with caution. Presented as a historic breakthrough, demanded by trade unions since the fall of apartheid in the 1990s, the introduction of a "national minimum wage" is greeted with some indifference in the country of Nelson Mandela. Until then, income thresholds were negotiated at the branch and occupation level and set by the Ministry of Labor, with in fact huge wage differentials depending on the social strata. South Africa thus holds the Gini coefficient - used to measure income inequality in one country - the highest in the world at 0.63, according to a World Bank report released in March 2018. "50% of households receive 8% of national income, while 10% of richest households share 55% of national income", note the report. Inheritance of apartheid, social inequalities are coupled with racial inequalities: the median monthly salary is 10,000 rand (about 627 euros) among the white minority, against 2,800 rand (175 euros) among the black majority, according to the South African Institute of Race Relations. A gulf that has worsened: 40% of South Africans lived below the poverty line in 2015 against 36.1% in 2011.